A regency flat in Cheltenham was suffering from a number of damp issues due to the deterioration of an existing damp-proof course, combined with high external ground levels, which allowed moisture to penetrate the walls and mould appear. 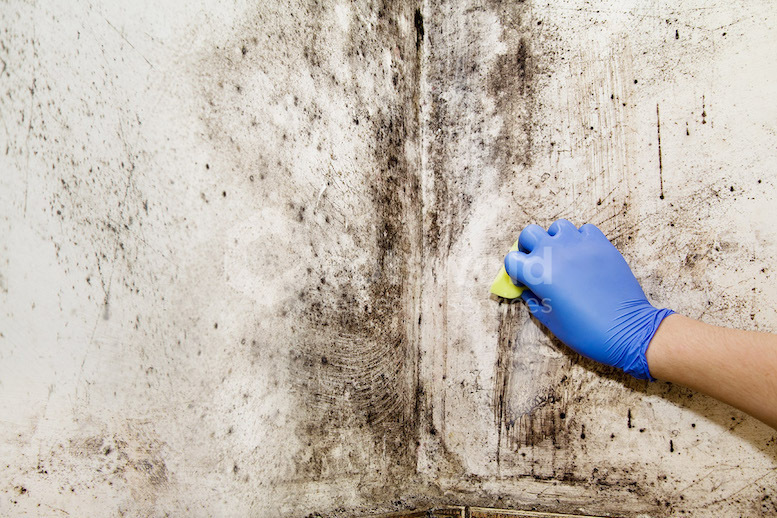 Another company had applied damp proofing treatments six years earlier, but our assessment determined this had not been adequate and additional condensation issues hadn't been addressed. After a thorough survey, we resolved the rising and penetrating dampness with a Cavity Drainage Membrane in the plastered or dry-lined walls). This included perimeter drainage to capture and drain water naturally away. The membrane's main advantage is in being a physical barrier between the old damp surface and new internal finishes. Being inert, it won't react chemically with dampness or salts either. Additionally, the air gap behind the membrane lets the wall breathe and remain stable. Damp cannot accumulate to cause further deterioration; and residual dampness is vented. We also solved the condensation problems by integrating insulation when damp proofing the walls. We also advised the client to improve ventilation with simple, cost-effective changes, and to upgrade the heating. "I felt fully appraised throughout the entire process and had complete confidence and trust in Cotswold Remedial Services to do a terrific job (which they have). Also, because they used a much-improved damp proofing system, it's more durable and less liable to fail as the previous company's did after only six years. One year on and my flat has been finished to a really high standard; it's toasty warm, and lovely and dry! It's also now covered by a damp guarantee that I have complete faith in. Thank you Cotswold Remedial Services." A client approached us about a Cheltenham bungalow with incorrectly diagnosed and unresolved damp problems. Water ran off ceilings and down walls, and superficial mould had formed on furniture. Due to the property's age we confirmed the presence of a physical damp-proof course, so rising damp was unlikely; testing walls with a moisture meter confirmed this. We also used a hygrometer to measure relative humidity and temperature in each room. From these tests and our observations, we built a moisture profile of the dampness and its behaviour allowing us to scientifically determine it was condensation and the factors that were causing it. We installed a modern - low-running cost, ventilation system which not only increased ventilation it decreases humidity and so substantially reduced the condensation risk. "After we downsized to a bungalow, we discovered a serious condensation problem. "We tried several remedies, but none worked. Improved central heating helped a little but it was Cotswold Remedial Services who finally solved our problem. After a full survey and clear, honest explanation of how the problem could be solved they installed a system that maintains a gentle, almost unnoticeable, circulation of fresh air. "The installation was done quickly, with minimal disruption and no mess. It costs hardly anything to run and has worked successfully for three years; no damp patches, running condensation, black mould or white mould. And as a by-product, fresh air circulating. "We have no hesitation in recommending Cotswold Remedial Services to sort difficult condensation problems. "Thank you from 'a very satisfied Cheltonian'." A client approached us about a damp problem in their kitchen. Another business they instructed to investigate had diagnosed rising damp and quoted accordingly. 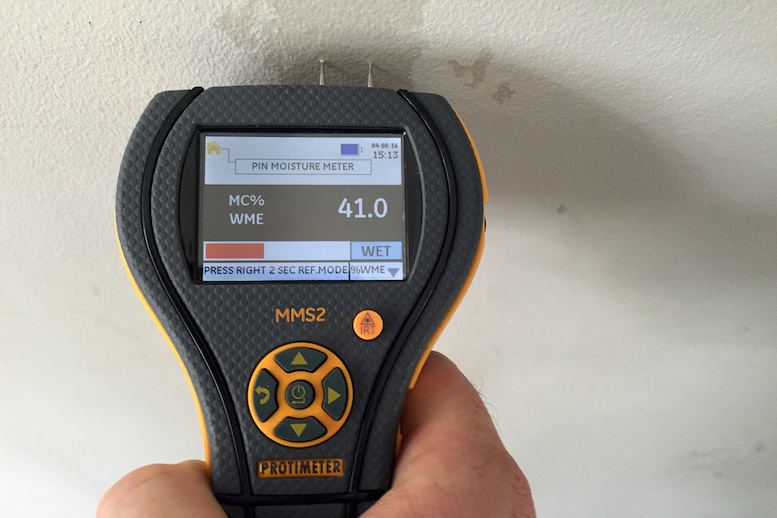 We quickly identified a physical damp-proof course, so rising damp was unlikely. We tested the solid tiled floor for moisture and got high-to-very-high readings, varying across the floor. The highest readings were from a section running across the floor to the sink. We also noted correspondence between dampness and the course of an underfloor water pipe and diagnosed a leak. We advised the client to investigate and fix the leaking pipework. They were able to make an insurance claim and so resolved the problem at much lower cost than the previously incorrectly recommended treatment for rising damp. "Your survey led us to understand the damp damage was due to a water leak and not rising damp, which wouldn't have been covered by our insurance. Hence, you've saved us considerable costs. "Your survey was carried out in a very professional manner. You carefully and methodically considered the situation and symptoms associated with the damage to make your conclusions. The moisture readings provided supporting evidence required by the insurance company. The final report was comprehensive and was provided as evidence for our claim. This was the best money I have spent! The insurance company is undertaking the repairs, so we have not asked CRS to undertake the works. Thank you again for the survey." A client approached us regarding a woodworm problem in their roof. 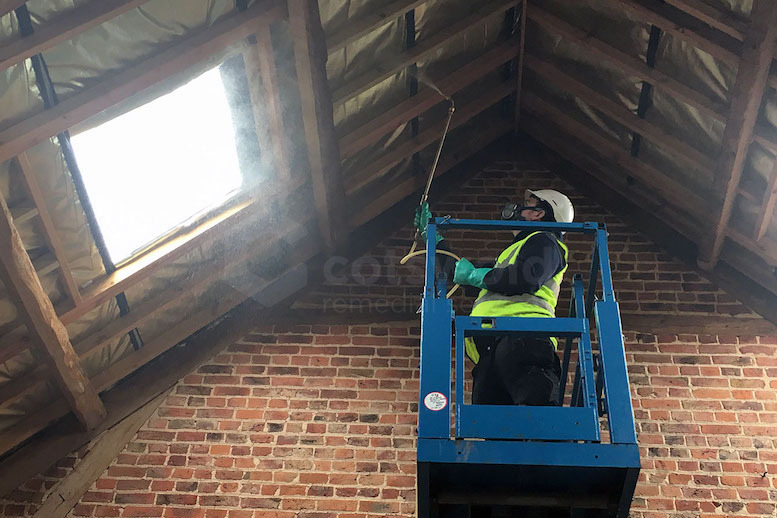 An active infestation of the common furniture beetle, affecting the rafters, joists, trusses and purlins throughout the roof void. We advised the client on the correct type of infestation and provided a detailed report and quotation for treating the woodworm (including a long-term guarantee). Whilst treating we kept mess to a minimum. With the use of low odour chemicals, the treatment was completed within hours and the client was able to return to the house. "I thought I might write and thank you for the excellent service you provided when treating my mother's bungalow in Little Shurdington. In particular, I very much appreciated that you were so willing to chop and change your work schedule to accommodate me. I also thank you for the clean and tidy way in which you proceeded and that I didn't have to clear up at the end of the job. Now that I am about to sell the bungalow I am glad that all the paperwork and guarantee are in order and available to any buyer." 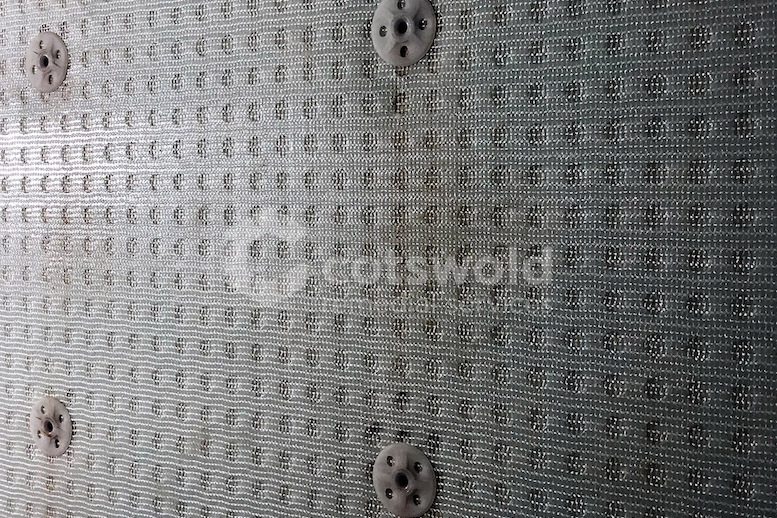 A building contractor approached Cotswold Remedial Services about a basement flat in Cheltenham that was experiencing numerous damp problems. The property suffered from three types of dampness: rising damp due to the absence of a physical damp-proof course; penetrating damp due to high external ground levels allowing moisture to penetrate the walls laterally and condensation that was causing a superficial mould growth to appear on the walls. 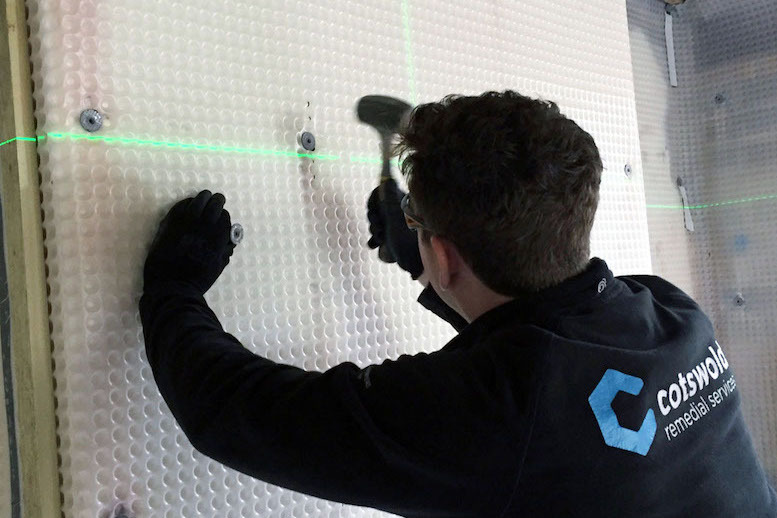 To resolve the rising and penetrating dampness, we installed a Cavity Drainage Membrane (CDM) to the walls. To solve the condensation problem, we advised the client to improve the flat's ventilation (with a combination of simple, cost-effective ventilation products and solutions). We also recommended upgrading the heating throughout the property. By treating the flat is not only warm and dry but its value has significantly increased. "We have used Cotswold Remedial Services on several projects, some we have sold and others we have as investments. Some properties have presented long-term problems: rising damp, salts and ventilation effecting decorations etc. CRS has provided a full survey and explanation of the problem and the work to cure it. We have experienced great results and Matthew Clark is professional, knowledgeable and reliable. Cotswold Remedial Services were recommended to us and we would not hesitate to do the same." 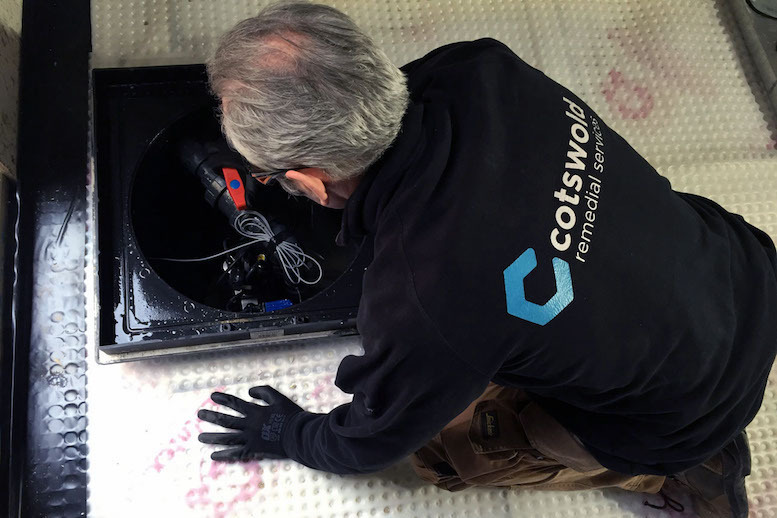 A building contractor approached Cotswold Remedial Services regarding a basement project in Stroud, which required waterproofing. The property suffered from rising dampness due to the absence of a physical damp-proof course and high external ground levels, which allowed lateral penetration of the walls by damp. To resolve the rising and penetrating dampness in the property, we installed a Cavity Drainage Membrane (CDM) to the walls. This included a perimeter drainage channel to capture any water ingress and allow it to drain away naturally. "We were renovating a property, which required the basement waterproofing and aging timber treated. We asked Cotswold Remedial Services for a quote and from the first visit they were professional and took time to explain processes and what would be involved. "Matthew (the MD) was flexible with our schedule and completed the work to a high standard. He has a friendly demeanour and is clearly knowledgeable in these areas. He was completely trustworthy and a pleasure to work alongside. I have no doubt we'll employ Cotswold Remedial Services again and would highly recommend his services to others."